Dogs and humans have been together for centuries, dogs dig, bark, lick, steal burgers from the grill, get fleas, worms, ticks. They have to be trained to do their business outside and then it has to be cleaned up. They have to be fed, bathed, brushed, walked, played with and watered. Through all this, the human/dog bond is stronger than ever. Its estimated people are spending over $2 billion a year on their family pets and this number increases yearly. To reciprocate the love, stories about dog’s heroes are in the thousands and occur every day. Dogs are among the heroes after a disaster such as the twin towers or an avalanche. Dogs find the dead for a proper burial and the living who are covered with so much rubble or snow that no human could ever find them without the super sniffer of the dog. Many people would not be alive today without the wonderful dog. Now a scientific study has proven what many of us already know when we are crying or upset, our dogs run to cheer us up. 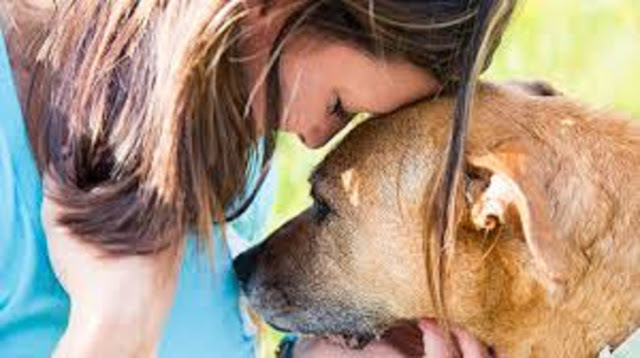 Have you ever notice your pooch approach you when you cry? A new study suggests that dogs not only notice when someone is upset and needs help, they also might move more swiftly to assist. The study, printed in the journal Learning & Behavior on Tuesday, revealed how pooches moved faster, on average, to open a door to reach their owners when the person made crying noises than when he or she hummed the tune "Twinkle, Twinkle Little Star." Although the study was relatively small, comprising only 34 dogs and their owners, and of course there is no way to conclude exactly what the dogs were thinking or what their motives were. However, the outcomes could help pave the way for better appraising what influences dogs, particularly service dogs, to help their human companions in times of need. For the research, the owners and their dogs -- of different breeds, sizes, and ages -- were divided into two groups. The dog was placed in a rectangular room that was adjacent to a small square room where its owner was sitting behind a door, appearing trapped. The pup could see and hear its owner through clear Plexiglas in the door.